Okay, we admit it. October’s giveaway was more for the girls than it was for the guys. November’s giveaway is one that the guys are definitely going to want. We’ve been dropping hints for the last few weeks, but we won’t keep you in suspense anymore. 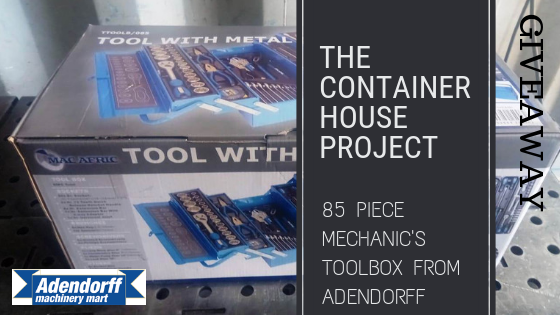 It’s time for the 85 piece mechanic’s toolbox giveaway! When we look back at our older posts, such as the one about digging holes for the container footings, it’s amazing to see how green our yard is now in comparison to when we moved onto the property. A few months of rain and we have grass and weeds growing up to our knees! We decided we had to do something about this lush foliage. 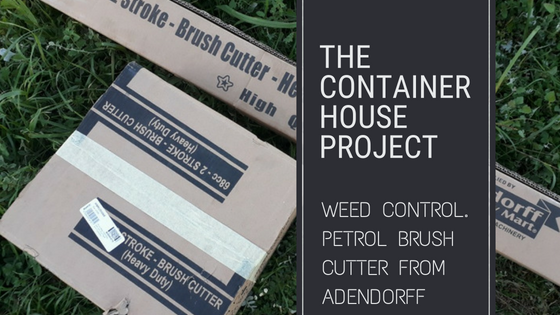 A petrol powered brush cutter was our solution to the problem.